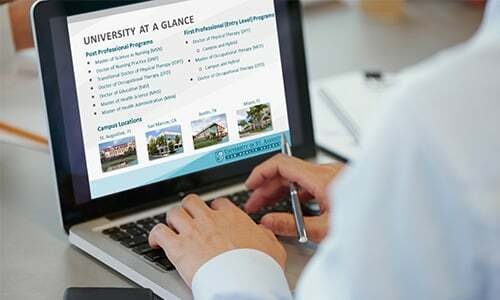 Join us for our featured webinar to learn more about the Transitional Doctor of Physical Therapy (tDPT) program at University of St. Augustine for Health Sciences. During this info session, you’ll learn about our Online transitional DPT program, application process, faculty, curriculum and more. Register today to reserve your seat! For questions, please email the tDPT Program Enrollment Advisor. Complete the form below to register for this or future webinars and get a jump start on your application for admissions to the Transitional Doctor of Physical Therapy (tDPT) program!